MANY expectant mothers will spend between 16 and 20 weeks battling morning sickness. While it doesn’t put your baby at any risk, the thought of your morning coffee being punctuated by trips to the bathroom undoubtedly plays on the mind. The article below is available for reprint in whole or in part with credit to Hypnotherapy Directory and link to www.hypnotherapy-directory.org.uk. Please advise us of its use by emailing press@hypnotherapy-directory.org.uk. Interview with professional hypnotherapist available upon request. MANY expectant mothers will spend between 16 and 20 weeks battling morning sickness. While it doesn’t put your baby at any risk, the thought of your morning coffee being punctuated by trips to the bathroom undoubtedly plays on the mind. Abigail Rogers, a hypnotherapist listed in the Hypnotherapy Directory, has revealed three ways your morning sickness can be helped by hypnotherapy. We often aren’t even aware of our underlying stress levels, but most of us are suffering with some degree of excess anxiety and early pregnancy can in itself be a particularly anxious time. Stress is a huge contributor to morning sickness and as hypnotherapy is all about reducing stress, it can make a huge difference to your symptoms. When we are carrying excess stress the body and brain become permanently engaged in ‘fight or flight’ mode. This triggers the release of stress hormones such as cortisol, which play havoc with our blood sugar, triggering nausea and cravings for sugary foods. Eating then causes our blood sugar to temporarily rise, followed by another crash – bringing on the next wave of nausea. Lowering stress through hypnosis stops this whole cycle in its tracks, stabilising blood sugar and meaning those nauseous moments don’t get chance to take hold! Reducing stress also tends to lead to a calmer and easier pregnancy all round, with a lower risk of complications – so the benefits last long after the morning sickness is over. As well as reducing stress, hypnotherapy also promotes better sleep and general well-being. You’re probably familiar with the feeling of being overtired or jetlagged – lacking energy, feeling miserable, lacking motivation, unable to think straight and even feeling nauseous. Pregnancy can unfortunately leave us feeling a bit like this too – sleeping less well leaves us in a negative frame of mind, making it harder to motivate ourselves to exercise and make good food choices. We know that exercising and eating well are both really good ways of reducing morning sickness – but if we’re not able to function within the logical, positive part of our mind which knows this will help us, we find excuses to opt out and end up feeling the effects! Hypnotherapy restores a healthy balance of sleep, promoting mental clarity and encouraging you to make more rational, positive choices which really help you feel so much better. Sometimes for whatever reason, the brain has developed an unhelpful or inappropriate response to certain circumstances – in the case of morning sickness, certain smells, sights or even thoughts can cause your stomach to start churning for no apparent reason. This is all down to a trigger template in the brain being activated and sending a signal that nausea is the right response – not so helpful if you’ve got to go to a BBQ and suddenly can’t stand the thought of meat, as I found during my own pregnancy! Hypnosis allows your subconscious mind to become more open to suggestions about how to respond to any triggers you’re struggling with, so we can help you by rewriting the nausea response and instead bringing to mind something much more pleasant. 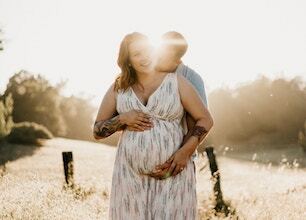 We can also teach you self-hypnosis techniques which you can use at any time to instantly feel calmer, more comfortable and less at the mercy of your symptoms – so they need not hold you back from enjoying your pregnancy and the excitement of what’s to come! To keep up to date with our Press Releases, please enter your email address below and we'll email you with any news from our Press Centre. We will only use your email to send you notifications about new posts. You can read more in our Privacy Notice here. Hypnobirthing: What are the benefits?